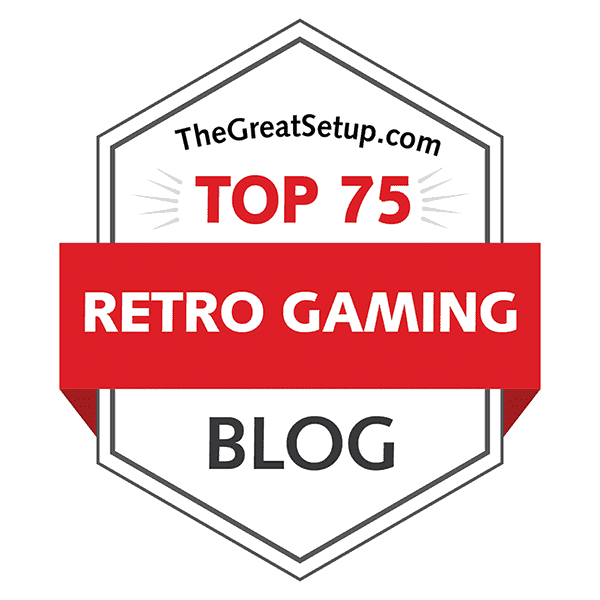 By the time of starting to write this epic mess of stars and bullets, Delta's original version has a score of 7.8 from 157 votes at Lemon64, while its Spectrum (and SAM Coupé) conversion only has 5.24 from 17 votes at World of Spectrum. Stardust has a score of 8.2 from 99 votes at LemonAmiga, a questionable 7.4 from 140 votes at Atarimania (check the comments here), and 4.5/5.0 from 4 votes at My Abandonware for the DOS version. Just to be safe, I took a look at what sort of reviews were available at MobyGames for the DOS version, and the only ones I found were all below 60 points from three German gaming magazines from 1995, which I thought was intriguing to say the least. From today's two chosen games, I have to say DELTA is the more devious one. At first look, it instantly brings to mind other such games like Nemesis (Gradius) and Zynaps, but within the first three levels, it becomes clear enough that Delta well deserves its place as one of the best of its kind. It only makes the recognition so much sweeter, that it's a C64 original instead of an arcade title. What makes Delta such an important game is all the fluent animation, absolute lack of any sprite flickering, the borders being used for some information as well as the regular screen area and the collision detection being as precise as possible. Happily, the actual game content is rather singular and exciting for such an overdone genre as a side-scrolling space shoot'em-up is, which I shall be getting into in the next chapter. Added to all this, the tape version features a music remixing program by Rob Hubbard, which includes various variations to play with for all four elements in the loading tune. All in all, a highly entertaining package. Delta's only conversion was more of a remix for the ZX Spectrum than a straight conversion, similarly to Stavros's earlier game, Sanxion, but this time, the Spectrum team had to concentrate on more minute details in the code. The success of the conversion could be indicated by the WoS score. But if Delta was the more devious one of the two games, then STARDUST is the more impressive one. Of course, you could say that Delta is rather impressive, too, which it really is, but Stardust took things ahead in its own particular way. As you may well know, Stardust is basically an upgraded clone of Asteroids, but if you haven't played it far enough, you might not know about the 3D flying sequences and the cave-flying segments, neither of which were particularly often seen in games at that point. As Stardust was essentially made by one of the best demo groups of their time, it's no wonder that it became one of the most impressive titles in the Amiga games library. To be honest, I have never even tried to play either of the two official conversions, so there's not much I can say about them, other than what I expect, so I shall refrain from making any further comments until the end of this article. First things first: the game options and controls. If, like me, the majority of your experience with Delta was through a pirated turbo tape copy with no instructions included in the crack, chances are that you would still not know about all the options available. I didn't know about them until a couple of years ago after I finally got myself an original copy of Delta. In the title screen, you get to accessing the options menu by pressing either F1, F3 or F5, each of which change one of the available options, in this order: the number of players (1/2), control method (joy/keys) and music/sfx. You only need the basic directional controls and a fire button to play the game. The keyboard controls are: W-A-D-X for up-left-right-down, and RETURN for fire. You can also pause the game with Run/Stop. The SPECTRUM version also has "hidden" options, but they're only for the control options (keys 1 to 3) - I couldn't find a two-player mode from any of the keys in the rubber mat. You are likely aware of how some old arcade games feature an animated instructions screen, which will appear if you wait long enough in the title screen. Well, Delta is one rare example of a home computer game that features such a thing - although you can see the instructions demo only in the original C64 version. You are instructed to shoot at full enemy formations to gain credits, which you can use to pick up weapon upgrades of a certain colour. See, instead of the traditional upgrade menu which you can select with tokens dropped by shot enemy formations, in Delta, you will automatically gain one credit after having shot one full formation. At some point, you will come to a passing field of boxes, some of which are grey and some of which might be blue, depending on how many credits have you managed to gather. If you try to pick a grey item, you will crash, but a blue item can be pickable, and will be installed into your spaceship's arsenal within a couple of seconds. Each weapon upgrade item costs a certain specific amount of credits, so you can only choose as many items as your credits allow. In the SPECTRUM version, all boxes are grey, but only those that have items visible are pickable. Delta is definitely a game of trial and error, much like any other arcade shooter at the time. You cannot always trust on your reflexes alone, since enemy patterns have a tendency to become less predictable as you make progress in the game. Sometimes, you might spend an inordinate amount of time shooting one enemy fleet ahead of you, just to be surprise-attacked from behind by a more devious fleet. But the perfection of level design in Delta lies in the designer's trust in the gamer, and his ability to always give a fair chance at everything, once you've learned the patterns. In the SPECTRUM version, the patterns sometimes change, and at worst, the solid grey upgrade boxes get in your way in such a way as to make your progression impossible. The SPECTRUM version is not a bad one, just sorely inconvenienced by both its screen size and lack of colour. You need to have really sharp eyes to notice the enemy bullets from the midst of all the stars in the background, since they're the same colour and the bullets are only barely larger than the pixel-sized stars. Perhaps luckily, the conversion plays noticably slower than the original (particularly the obstacle course bits), so you have just a tad more reaction time. Also, perhaps all for the better, the SPECTRUM version only features 20 levels compared to the original's 32 levels. But you already know how the dice roll here. Delta loading screens. Left: C64 tape. Middle: C64 NTSC disk. Right: ZX Spectrum. Delta title screens, high score tables and the C64 info demo. Top row: Commodore 64. Bottom row: ZX Spectrum. ...but then, the title sequence extends to a demonstrational animation segment in the original C64 version, which the SPECTRUM version doesn't have. Also, as it will become increasingly obvious, the screen borders are exclusively put to good use in the C64 version, which will only become properly apparent once the game starts. As for the title screen itself, and the high score list after that, there's not much to say. A fairly similar rendition of the triangular Delta logo stands from the middle up in both versions, above which is the year of copyright in Roman numerals, and the proper copyright is at the bottom of the screen. Immediately below the game logo is the man or group responsible for each version - stylized in a suitable way if deemed necessary. The SPECTRUM screen has only three colours (black, white and cyan), while the C64 version of the title screen has 7 colours (counting in all the shades) in the main items already, but even the stars in the background are of various colours, as opposed to the simple white starfield in the SPECTRUM version. The high scores list exhibits a similar difference of colouring. Level 1 screens. Top row: Commodore 64. Bottom row: ZX Spectrum. Starting the game is a no-nonsense procedure: you just get a nice introduction to the level - all of which are named, apart from the first one - and off you go. It doesn't take too long to find out that the SPECTRUM version stubbornly continues to use the very restrictive palette from the title screen all throughout the game, but at least it's all hi-res. The C64 version might feel a bit grey at first, but here, it's a clear stylistic decision, as the wider-pixeled graphics allow more colours used when necessary. And things do get more colourful later on in the original game. Screenshots from further levels. Top row: Commodore 64. Bottom row: ZX Spectrum. You do, however, need to get a lot further than I've been able to, since the level graphics only get more colourful at around the 9th level or so, as you can see from this longplay video if you need further proof. In any case, it's either colours, wider pixels and more content on the C64, or practically no colours but higher resolution graphics, yet less content and slower animation on the SPECTRUM. It's not a tough choice, to be brutally honest. Game Over + Enter your name. Left: Commodore 64. Right: ZX Spectrum. The eventual Game Over screen differs in both locational content and the format of text, but other than that, there's not much to say. The "enter your name" screen, however, gives a shocking splash of a new colour in the SPECTRUM version, as your typed name gets shown in green. It still doesn't make much of a difference to the obvious results here. If nothing else, it's really the soundtrack what makes Delta get a hold on you. But really, that's only to be expected when Rob Hubbard is the one responsible for the soundtrack. This epic set begins with Thalamus-producer Gary Liddon's idea - the "choose your own loading tune" system in the tape loading screen, which incorporates four lead melodies, six bass lines, five drum patterns (one of which is a whine) and six different effects to choose from and mix up. The tune structure itself isn't all that interesting, but the given possibilities make it a very interesting off-field addition to an already fantastic soundtrack. According to the SID-file ripped from the loader, the longest loop is 2 minutes and 19 seconds long. As you can probably guess, the SPECTRUM version offers nothing but the usual loading screeches. As we get to the game itself, the title screen features a nice rocking tune, which is heavily inspired by Philip Glass' main theme from Koyaanisqatsi. A strange choice, I grant you, but it works like a dream. Other themes from Koyaanisqatsi, namely "Pruit Igoe" and "Resource" were used for the epic in-game tune, which loops at 11 minutes and 21 seconds. At Liddon's suggestion, the tune also includes a slight variation of "On The Run" from Pink Floyd's Dark Side of the Moon. Also, small bits and pieces were used from Hubbard's soundtrack for Sanxion. The SID info at the Lemon64 database tells, that according to Hubbard himself, the soundtracks for Delta and Kentilla were the most complicated ones to compose and took the longest time to do. I have no doubt about that at all. Weirdly enough, you don't get to hear the in-game music, unless you know that you can toggle the music and sound effects from the title screen by tapping F5. Finally, there's the Game Over tune, which is a fairly straight-forward ballad-like theme that fits nicely as a counter-balance to both the rocking main theme and the psychedelic in-game tune. Of course, the game features also sound effects, which you can hear by just playing it normally, since they're turned on by default, but to be honest, they're not much to talk about. In fact, they even feel a bit old-fashioned (even for 1987), and only feel adequate for the job, but as such, feel like they take away from the overall quality of the rest of the game. Just turn on the in-game music for the full-blown Delta experience. There is no real need to get into the 48k SPECTRUM version, since it has no sounds at all, but in 128k mode, at least you get some basic sound effects. That's right - still no music. In this regard, the ZX SPECTRUM/SAM COUPE version is just a completely below-the-bar experience. Nothing more to say, let's move on to the next game. If there's anyone out there who has never played Atari's classic shooter, Asteroids, I will probably need to start from there. You control a space ship on a wrapped-around two-dimensional screen, which allows you to move out of one edge of the screen and come in from the opposite side. In Asteroids, the available controls for your ship were thrust, turning left and right, fire, and hyperspace jump, which would make your ship instantly disappear and reappear on another, random part of the screen. The basic difference in Stardust is, that instead of a hyperspace jump, you get a shield with a limited amount of power. 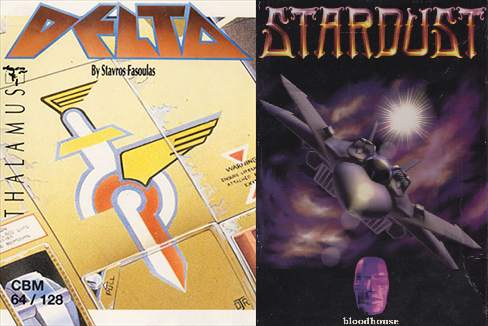 Before Stardust, Atari had actually made a couple of sequels to the original Asteroids, namely Asteroids Deluxe and Blasteroids, both of which introduced some new elements to the original concept, such as new weapons, boss-fights and level selection. Essentially, Stardust didn't bring anything particularly new to that particular genre, except perhaps the possibility of changing your weapons via a pause-menu during play, once you have collected any such item. A new feature taken from other games is the time limit for each level, which, if runs out, brings out a large ship dropping a massive amount of bombs you need to deal with in addition to any other debris left floating on the screen. In other words, it's a "Hurry Up" mode of sorts. But what it does have as a real new thing, is the warp sequences between areas. The warp sequences are a bit odd, considering the hardware, but are fast and work well enough for what they are: three-dimensional flying segments through a pipe filled with cosmic debris. You control your ship from behind, and you can move the ship all around the screen, while the camera behind your ship slowly follows it just enough to allow you to move near the pipe edges. It's a bit disconcerting at first, particularly since your ship moves with no inertia at all, compared to very soft and slippery inertia in the Asteroids-like basic levels, but it's easy enough to get in terms with. The only problem is the object scaling as they come towards the camera, since all the debris are pseudo-3D objects, and are a bit difficult to follow. The safest bet is just to shoot as much as you can while flying through the most obvious gaps between the flying junk. From here, we can finally get back to before the beginning of the game - the options menu. Concerning the warp tunnel sequences, you can choose to use a reverse control (up is down and vice versa), if you will, or the normal way. The other options to choose from are the number of lives (3, 5 and 7), autofire and music. You will also be able to get passwords if you get far enough, which you can then write down somewhere and use it later in the Password option to start from a later level. Finally, there is a decidedly odd feature of getting to load, save and reset the high scores table if you feel like it. It might have been a neat idea in 1993, but I'm not sure anyone really is that much bothered about high scores anymore. Now, onto the actual matter at hand. From what I can tell, the STe version plays as close to the original AMIGA version as you can humanly expect for it to. The only notable difference is the smaller screen size in the ST version, which doesn't make everything on the screen smaller, but rather decreases the area of movement, thus making the game a bit more cramped. Otherwise, I witnessed no particularly alarming differences, but those more expertly acquainted with all versions of (this) Stardust might be aware of something I'm not. In any case, due to severe time constraints, I decided to only focus on the first two areas in the game, which I'm hoping will be enough to get some sort of a clear picture of what the game is about. The DOS version is a much more altered beast. You can already see the first differences in the options screen, which now includes a difficulty level switch (featuring easy, medium and hard levels), some sound options and a graphics mode selector for the warp sequence for optimal performance, as well as a load/save system, which also allows you to continue your previous game from before the level you died in. The map screen is also a bit different: moving in the map is true-directional, as it is in the other versions, but in the DOS version, the ship-cursor always circles counter-clockwise to the wanted direction, and is slower at moving than the other two. A keyboard-related problem that I noticed while playing on DOSbox: you can't turn and throttle simultaneously. I had to rearrange some space at home to get my old DOS-PC working and play Stardust on that computer, and I can confirm that the keyboard problem exists on a clean DOS machine as well. Another drastic change made to the DOS version I found in the first area boss fight, in which the boss enemy acts in a very different way to that in the AMIGA and STe versions, which suggests at least some of the other boss fights must be altered as well. Not nice, but it's something you can deal with. The keyboard problem is a problem, though. Seeing as Stardust was originally created by a group of demo sceners, it's no wonder that there was also a decided focus on getting the game look as jaw-droppingly pretty as it possibly could at the time. Naturally, this would include the fastest 3D graphics that the scene was able to produce at the time, by a technique called "ray-tracing", which you can read more about here, in case you don't know the specifics about it. But the eye-candy wasn't just 3D - there was plenty of other visual effects in the game that wasn't a given in all 16-bit A-list games. Happily, this means that there will be some more variety in the screenshots this time, than there usually would be, when there are only 16-bit versions of any game being compared. Stardust intros. Top row: Commodore Amiga (and Atari STe). Bottom row: IBM-PC compatibles. One of the main gripes that fans of the original Stardust might have when playing the DOS port, is the altered intro sequence. The original is a clear Star Wars spoof, which has been done many times before by other game developers and film makers, so it shouldn't be much of a copyright issue, or was it? The STe version was left without the Star Wars-like Star Dust logo, which appears just before the "Episode I" storyline scroller. The DOS version takes more of a Super Nintendo'esque anime/manga appearance, and the name of the princess Voi Levi is miswritten as Vol Levi, which to us Finns feels funny in the wrong way, because VoiLevi was the name of a margerine brand in Finland until 2004 due to EU laws, which didn't allow for vegetable oil -based spreads have the word "butter" in their names. If the original Stardust was done after 2004, the name of the princess might as well have been Kevyt Levi. But I'm getting off-topic now. It has to be said in defence of the DOS version, though, that the anime/manga screens are also featured later on in the other two versions as well. It just feels like a good part of the game's humour has been taken away by not going with the Star Wars spoof segment. Apart from all that nonsense, the DOS version did include an exclusive 3D bit at the end of the intro sequence, showing a spinning tunnel in the background while the credits scrolled on top of it. 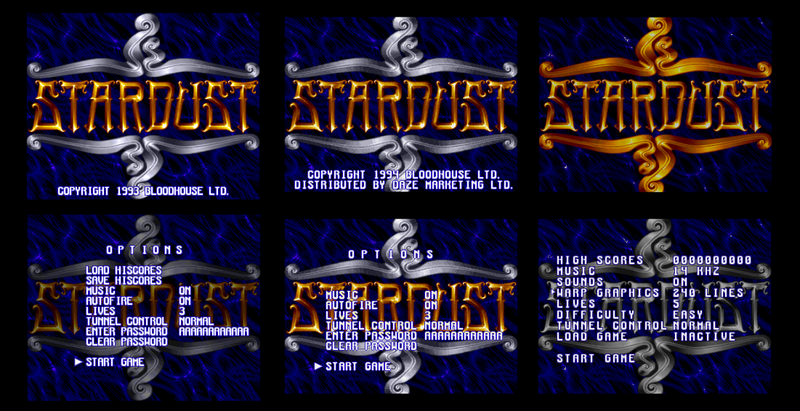 In the AMIGA and STe versions, the credits are shown as single text pages over the title screen. Stardust title screens and options. Left to right: Commodore Amiga, Atari STe, IBM-PC compatibles. Nothing too different in the title screens themselves. The obvious differences are the differences in used colours and the screen size, none of which make much of a difference at this point, but it does set a clear starting line for all three versions. There is a less obvious difference between the AMIGA and STe versions: in the STe version, the whole logo is made to use some sort of a strange graphics mode that alternates between two pictures. I guess it's something akin to the mode used on the C64, which is called IFLI: Interlaced Flexible Line Interpretation. It's not too disturbing, but it's definitely notable for being different. More differences come forth when you get to the options screen, and depending on the version, something happens to the title screen in the background. In the AMIGA version, the whole title screen fades a little as the text becomes the primary thing on the screen. 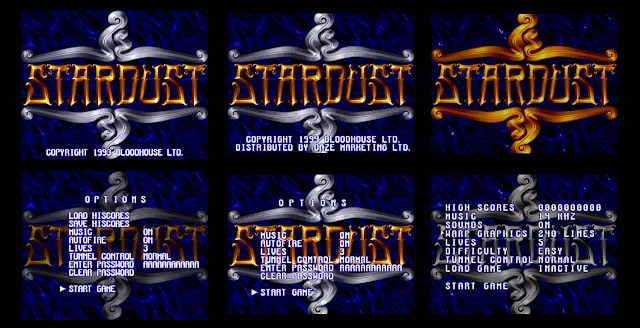 In the DOS version, the background doesn't fade as such, but the Stardust logo turns to greyscale and the spacey mist behind it changes to a more lighter blue hue. In the ATARI STe version, the background doesn't change a bit. Stardust map screens, left to right: Commodore Amiga, Atari STe, IBM-PC compatibles. One of my favourite graphical ideas in Stardust is, rather surprisingly, the map screen (or War Plan), which looks a bit messy at first due to its style. It looks like a large sheet of cross-patterned paper, with a bunch of large scribbles all over - which on closer inspection and further playing reveal to be scribbled versions of all the area level background graphics. The red boxes serve as the areas which you need to play through - 6 spots within each red box, except for the middle area, which has 9 spots. Other elements on the map screen are your ship; the initially invisible spots, which are marked with X after you have cleared them; a thing that looks like a fridge magnet with the letter W for indicating the warp portal, which will only appear once you have cleared all the spots in the area; and a report tag between the bottom two areas, which tells you what is to be expected in the level you are on, or whether you have already completed it. In case you didn't notice, the paper itself is tagged onto an unseen notice board (or something as tachable) by three visible red pins. The AMIGA and DOS versions look almost alike - only the DOS version has no shadow under your ship. For some reason, the ATARI STe version has taken a black-and-white approach with a slight tinge of sepia. I don't know if there was a reason behind this, but it makes the screen look even messier than in the more colourful versions. Examples of Area 1 levels, left to right: Commodore Amiga, Atari STe, IBM-PC compatibles. As we proceed into the action, things become clearer. The ATARI STe version has a limit of 16 colours on screen, which explains the omissions of the grey meteors, your ship being coloured as it is, and the huge planet in the background being orange instead of purple. As you can see, this can become a bit annoying, since some of the meteors are orange as well, which makes them harder to see sometimes. Although I haven't included screenshots of the boss fight here, it should be noted, that the DOS version doesn't feature the explosive entrance animation of the area boss. The first warp sequence loading screen. Left to right: Commodore Amiga, Atari STe, IBM-PC compatibles. Once you have killed an area boss, you need to move to the warp gate on the map screen. Once you have entered the warp gate, you need to wait a bit for the sequence to load up, during which you will see a close-up of what I gather is your ship's navigating computer's screen, with the initialization text being typed in while the level loads up. In the AMIGA original, the screen is a neatly flickery green-scale screen, with everything shown on it in some shade of green. The DOS and ATARI STe versions have the screen show a very solid picture, but the layouts of the text and pictures all are different from each other. Also, the font in the DOS version is clearer than in the other two versions, but also less sci-fi themed and more boring. The DOS loading screen also shows a loading bar at the bottom. In all three versions, the screen shows the word "READY" once the segment has been loaded. Examples of a warp sequence. Left to right: Commodore Amiga, Atari STe, DOS 200px, DOS 240px. Ever since Kubrick's 2001: A Space Odyssey, movie and game developers have been developing their own versions of lightspeed travelling warps. This is an interesting variation, because the warps all seems to happen within more or less solid pipes of whatever material. In Stardust, they seem to change locationally, or at least depending on the version you're playing. In the above picture, differences worth noticing are numerous, but in the end, of little importance. In the AMIGA original, the screen doesn't actually fill your TV, but rather keeps the sides slightly within the borders. In the ST version, the screen is as wide as you would expect, but has much less height, particularly as the info panel takes a slice from the bottom. The STe version continues to show its colour limitations by having your bullets and all the on-coming traffic in the same colour (orange), while in the AMIGA version, all object groups have their own specific colour. The DOS version is the oddest of all, since it features two different modes for this particular segment - which as you know by now, can be chosen from the options menu. From the two options, the 240-pixeled version works better, since it's closer to the original. What I have liked so far about the DOS version is, that all the darker bits are closer to black, compared to the very dark blue in the AMIGA version. Examples of Area 2 levels, left to right: Commodore Amiga, Atari STe, IBM-PC compatibles. Now what? Not only are the second area background graphics all notably differently coloured from each other, but in the STe version, your ship has turned purple! It's not a completely unforgivable thing, since you know your ship is the only one in the game that looks like that, but one would assume at least your ship to keep its colour regardless of its surroundings, unless the STe version's ship is a chameleon. Once again, I feel like the DOS version has the better use of colour due to the clear black instead of a dark purple, but I guess that's a matter of opinion. And the use of colour alone doesn't really make all the difference. Weapon selection panel. Left to right: Commodore Amiga, Atari STe, IBM-PC compatibles. Yet another proof of the STe's colour-limitations: the weapon selectors. For this half-screen, you are only given three basic colours: black, purple and orange, and a few of their shades. Compare that to the AMIGA and DOS versions' additional colours in the green display, red wires, white/grey items and (also red) lights. Examples of the Hurry Up segment. Left to right: Commodore Amiga, Atari STe, IBM-PC compatibles. One more thing before we enter the inevitable boring part of the graphics comparison. The "Hurry Up" segment is dealt with in a slightly different way in all three versions. The AMIGA and STe versions feature a near-psychedelic lighting show, but singularly, the STe version keeps the info panel at the top of the screen for the duration of the "Hurry Up" segment. The DOS version is much more sedate, with no psychedelic lights at all, but at least it removes the info bits from the screen. Info screens, left to right: Commodore Amiga, Atari STe, IBM-PC compatibles. Between every level, you get these "Get Ready" and "Level Complete" screens, which all look very similar to each other, apart from the fact that the information given in each version differs a bit. Graphically, it's unimportant. The only important thing here, if you consider it important, is the greyscaled big texts in the DOS version compared to the blue ones on AMIGA and STe. Enter your name on the Hall of Fame. Left to right: Commodore Amiga, Atari STe, IBM-PC compatibles. Finally, we get to the Hall Of Fame screen, on which you get to enter your name in the DOS version, or three chosen initials in the AMIGA and STe versions. 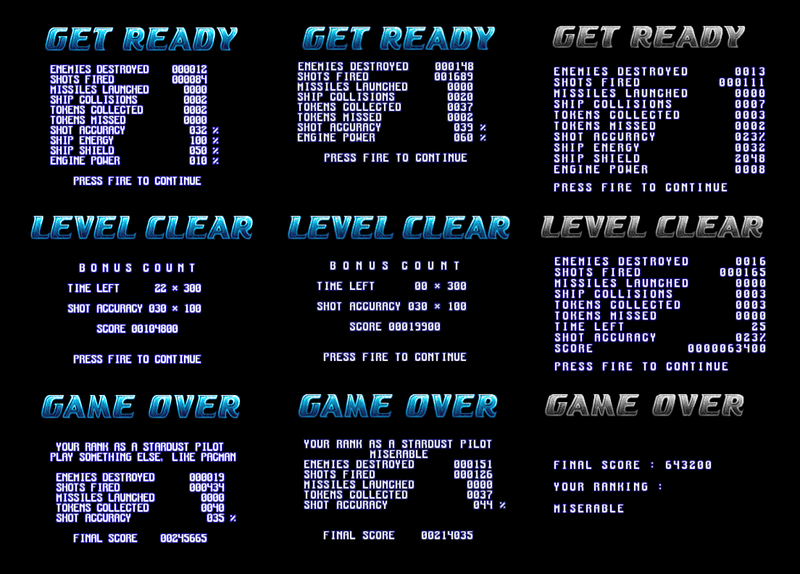 The STe and DOS versions have solid black backgrounds with basic white font for the high score list and an orange/purple "Hall of Fame" text at the top, while the AMIGA version has a blue theme, a randomly patterned background and a white-to-red shading on the list. It's unfortunate that the ATARI version is so limited in its colours. Otherwise, it's almost as good as the other two. As for the other two, I have to base the order of preferment almost entirely on the intro sequence, because the rest of the DOS game looks just as good in slightly different ways as the AMIGA original, apart from a couple of small details perhaps. So, while the results are what you see below, it's all just really impressive on each platform. If I'd give them real scores, I'd say they would be something like 9.5, 9.3 and 9.2, respectively. The entire soundtrack for Stardust is a master class in rave music from 1993, spiced up with a bunch of expectable heavy explosions and shooting noises. Surprisingly enough, there is not that much different in the three versions. The music and sound effects are all the same in all three versions, from what I can tell, and only the sound quality seems to be an issue. Comparing sounds for a game has never been so easy. Only the DOS version has some variables, with the sound quality options given to you to choose from in the options menu, from three different sample rates. Even on the highest level, though, it doesn't quite reach the quality of the AMIGA version. The STe version sounds muffled all over, but some people might prefer that to the in-your-face techno-feast that the AMIGA and DOS versions exhibit at their very best. I guess it's a matter of taste in the end, but strictly quality-wise speaking, the STe version takes the shortest straw. Because making comparisons of a natively 16-bit game can be a bit difficult to get right, I approached a couple of youtubers for getting permissions to use their videos to help me get the point through. So, thanks to GuruMediator and zirkoni88 for their permissions to link their videos here! I should point out, though, that the DOS footage isn't recorded in the best possible quality (or perhaps the video wasn't uploaded to feature the highest possible quality), and even the AMIGA vs ATARI video uses emulation, but still, you can get a good deal more out of the clips than just the general idea. In case you're somehow still not convinced, you can always try the three versions on your own setup. 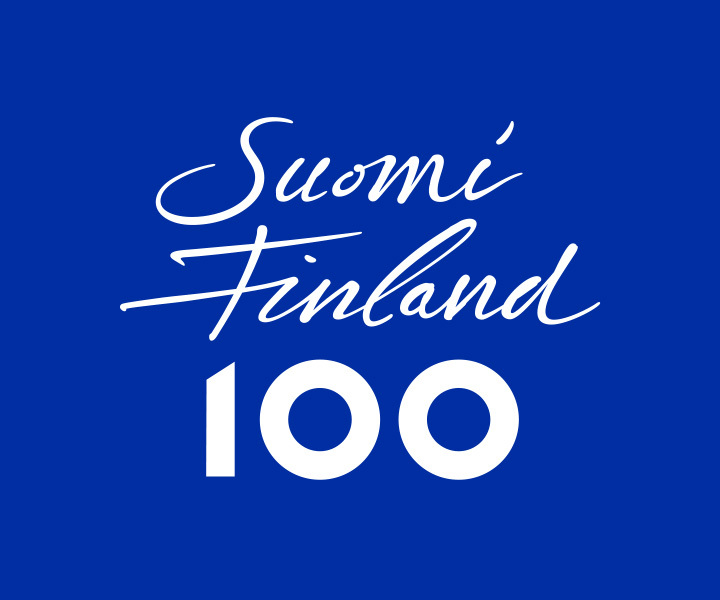 Once again, it's plain to see that Finland really was a Commodore-oriented country back in the day - and for a few good reasons. That said, at least the STe version of Stardust turned out surprisingly true to the original, but then, the team responsible for the conversion were fellow Finns of another demo group, and they did the best they could. The DOS version was a bit of a mess in terms of playability - which is really the deal-breaker here, but looked and sounded closer to the original. And as for the C64 vs. SPECTRUM thing with Delta - I'm sure there could have been more that the 128k Speccy could have handled, but what they got was a below average shooter with none of the game's building blocks coming close enough to the original. Yes, in both cases, the scores look unfair. Unfortunately, the Commodore machines had an unfair advantage for these kinds of games over their competitors in these particular cases. It just goes to show, however, how well the top Finnish game developers of each respective time period had come to terms with each machine's capabilities. Both Delta and Stardust can be proudly hailed as some of the best early examples of Finnish game developing, and should be included in every C64 and Amiga owner's library. It this all seems biased to you... well, perhaps it is for a few good reasons, or perhaps you might need to re-read the whole thing through. Both games were so well received, that they earned themselves a following of sorts. In the case of Delta, Thalamus decided that Cyberdyne Systems' Armalyte was epic enough to have a good marketing campaign, and claimed it was a sequel to Delta. Indeed, Armalyte can be claimed as one of the best horizontal space shooters for the C64, but a Delta sequel? If you disregard it having been developed by a completely other team, then maybe. Stardust got its first sequel, Super Stardust, only a year after the the first game, and was designed to utilise the AGA graphics chip. Another year later, the CD32 enhancement, featuring a proper CD-DA soundtrack, was released. Later on, Stardust became a franchise, with games released for PS3, PSP, PS Vita, PS4 and PS VR. Thanks for reading, hope you enjoyed it! 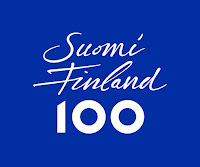 Hyvää Suomen 100. itsenäisyyspäivää! Also, because I won't be posting anything until between Christmas and New Year's Day, I wish you all a very happy Christmas - or any equivalent season that some of you might call with a different name. Cheers!